Under the auspices of Chef de Cuisine Tsering Nyima, Great Performances guides the culinary mission of the Garden Court Café with seasonal dishes that reflect elements of the diverse cultures of Asia. In the modern, glass-enclosed space, enjoy lunch and weekend brunch, now with new children's menu items. Filled with light, flowering vines, trees, and art, the Garden Court Café is a beautiful and airy spot to enjoy an Asian-inspired meal. 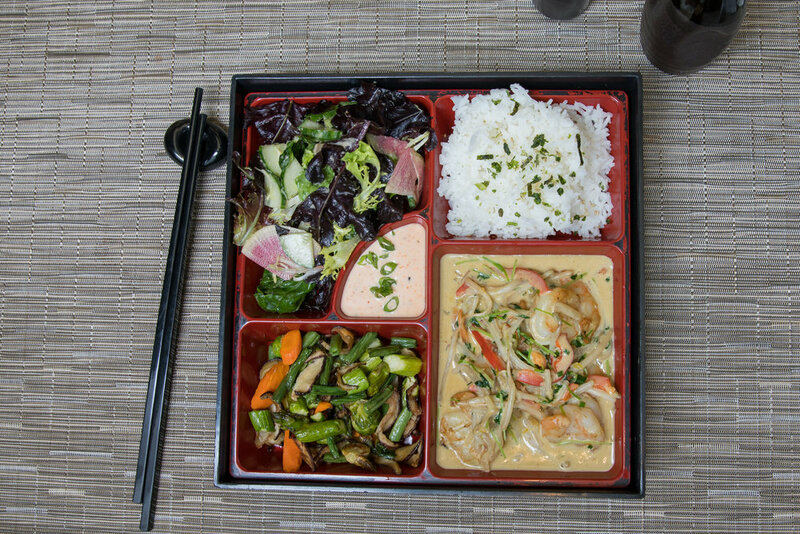 Asia Society Members enjoy a 10% discount when dining at Garden Court Café. Reservations are recommended, and can be made by calling 212.570.5202 or reserving online. To inquire about hosting an event at Garden Court Café or the Asia Society Museum, contact a planner or email celebratefood@greatperformances.com. The soaring glass roof adorned with vaulted wooden beams creates the illusion that a bright, open parasol crowns the Garden Court Café. The blue-green marble floor resembles a cool pool of water in which weeping podocarpus trees grow. Fully-equipped with its own kitchen and audiovisual facilities, the Garden Court is a beautiful setting for almost any type of event, from elegant receptions and dinners to artistic salons and corporate soirées. It comfortably accommodates 130 guests with spillover space in the visitor center for an additional 50.